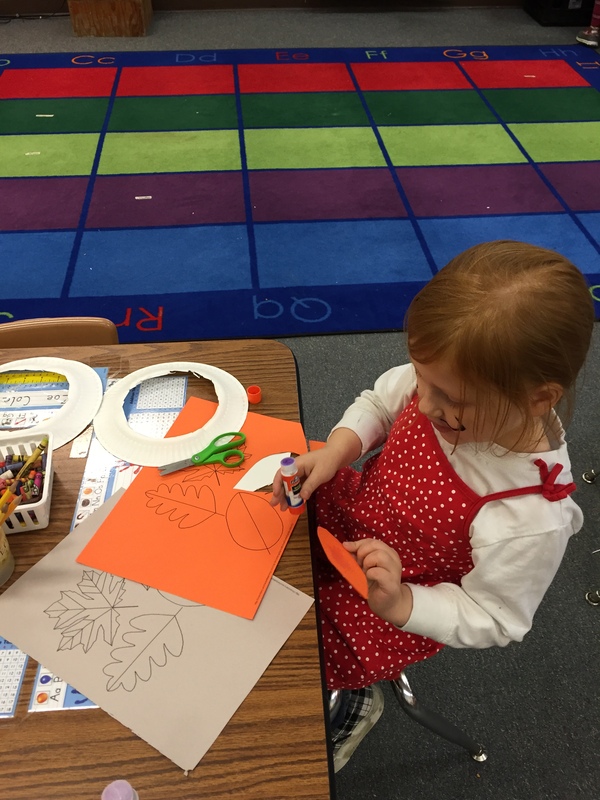 After our field trip on Friday we learned how other places participate in the fall harvest. 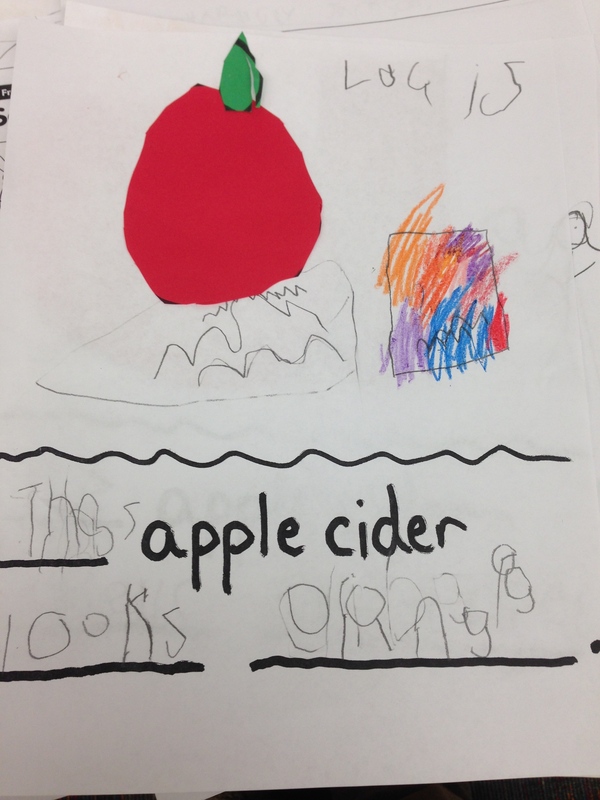 Our class talked about how where I come from (in Michigan) we pick apples. 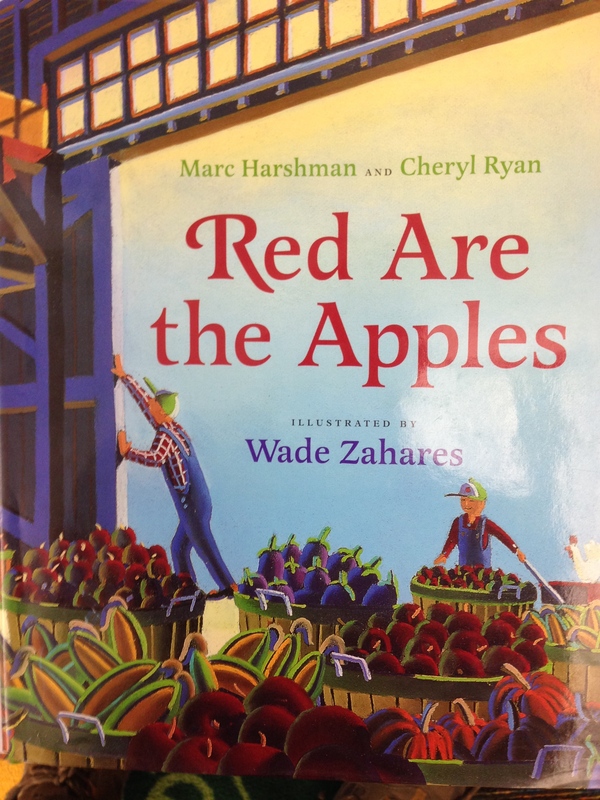 We learned the letter Aa and read the book “Red Are the Apples” by Marc Harshman. 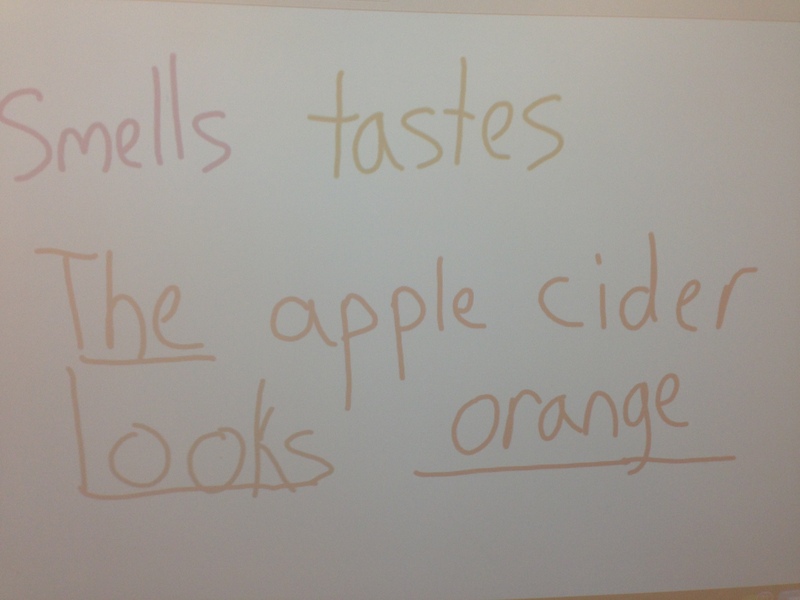 We also retold the key details by remembering what were the different things on the farm and what colors they were. 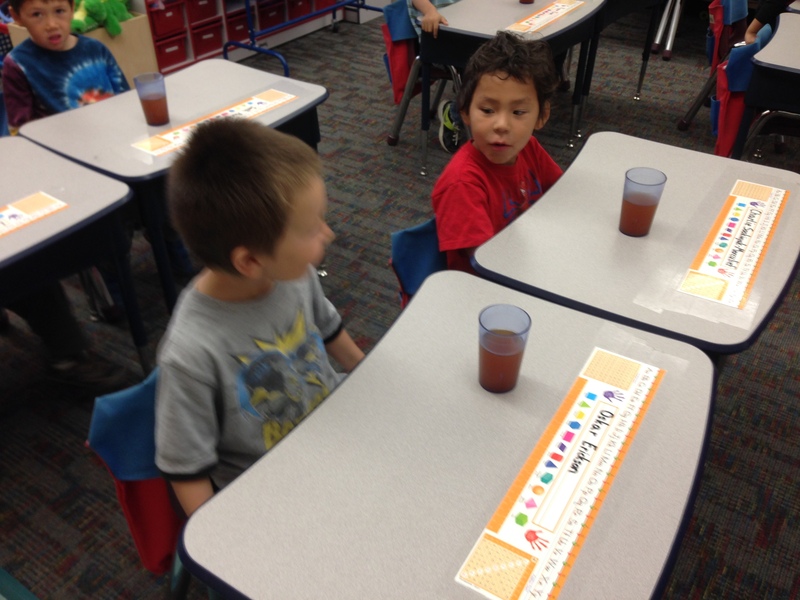 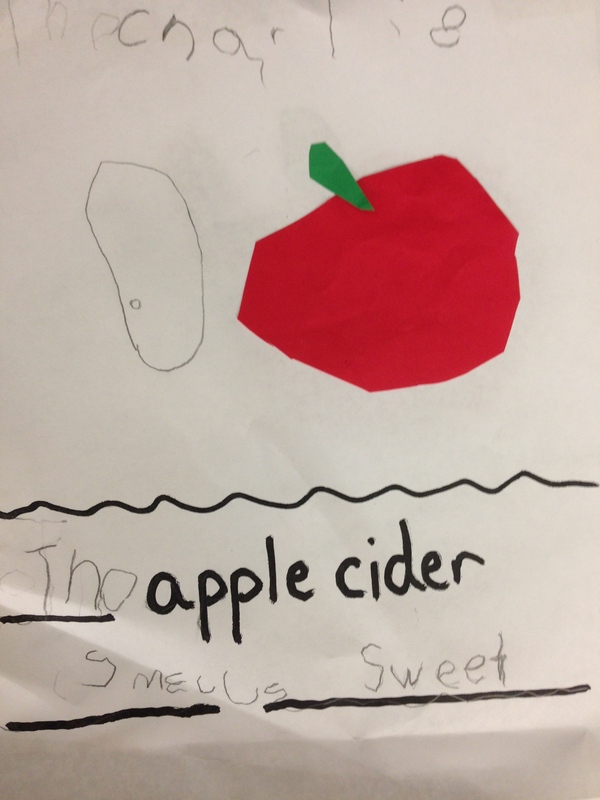 Then we made a text to self connection by trying homemade apple cider (as they made apple cider at the end of the story). 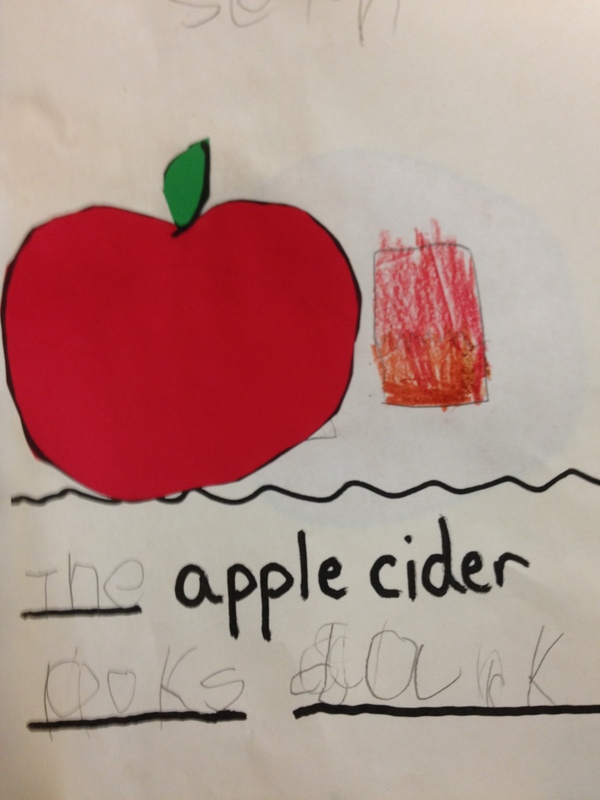 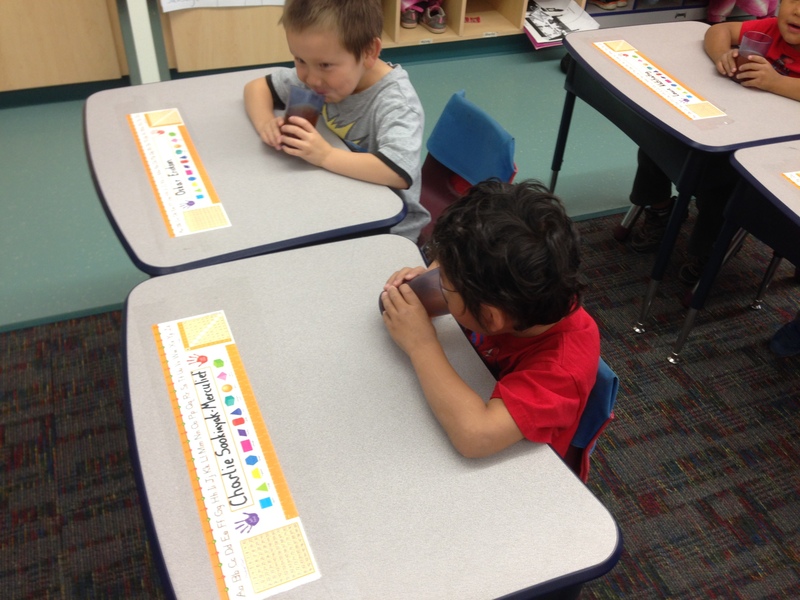 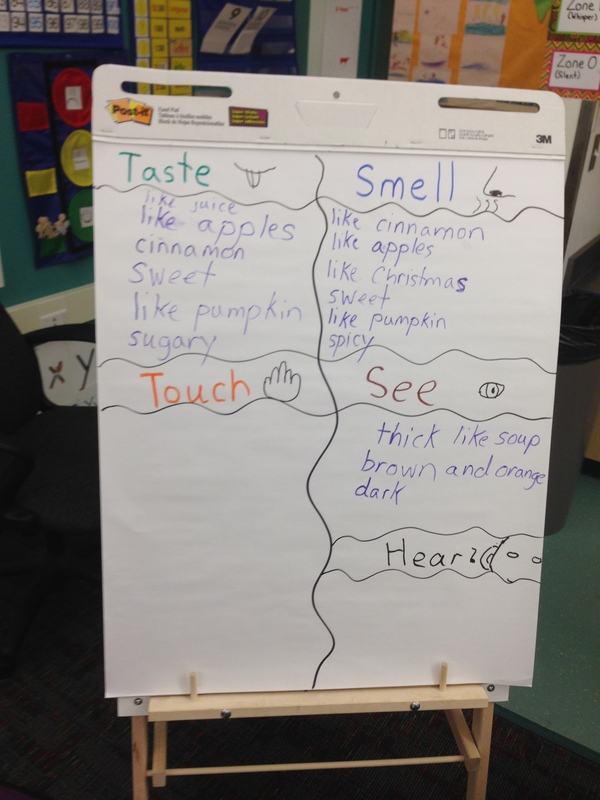 We learned about the five senses and used three of them to describe the apple cider in a writing activity. 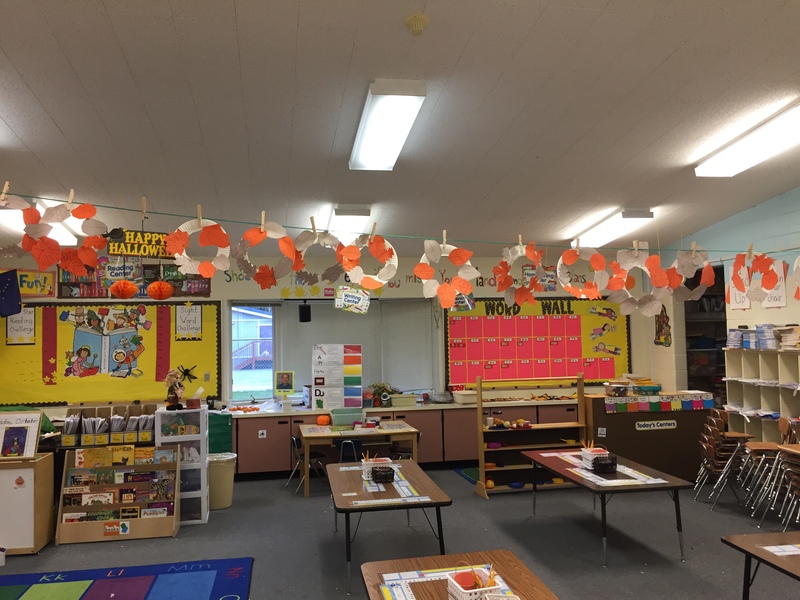 We have moved onto a fall science unit in Kindergarten / 1st grade. 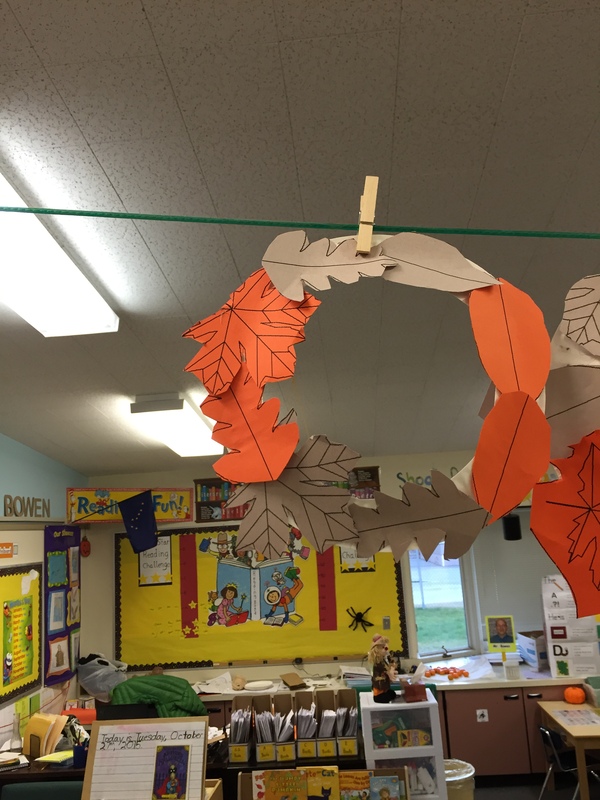 As a whole class we discussed the changes we’ve noticed in Shaktoolik with the leaves changing color. 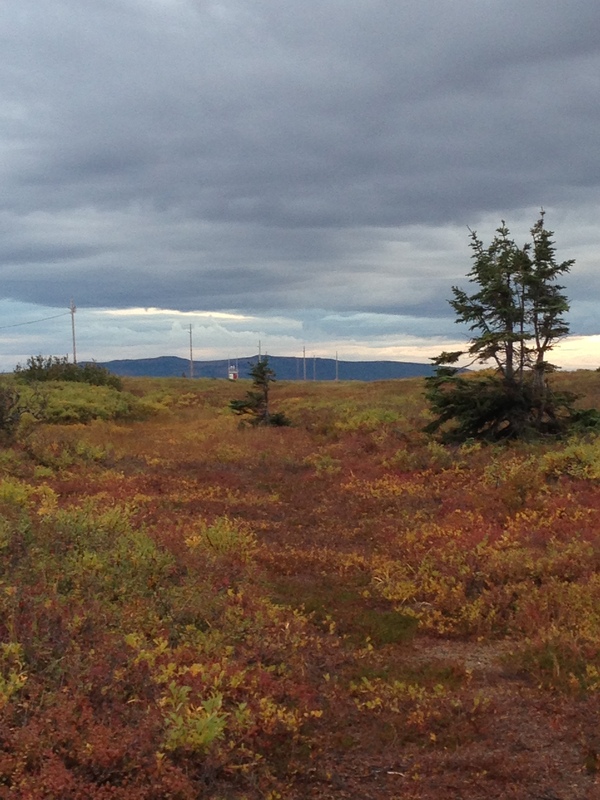 However in Shaktoolik we do not have any trees nearby. 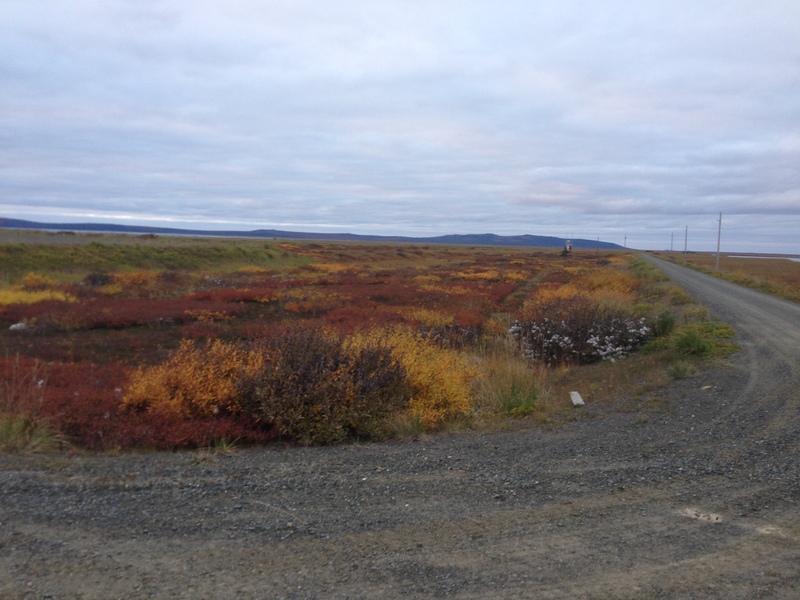 Since we live on the flat Tundra all the leaves are changing color on the low berry bushes on the ground. 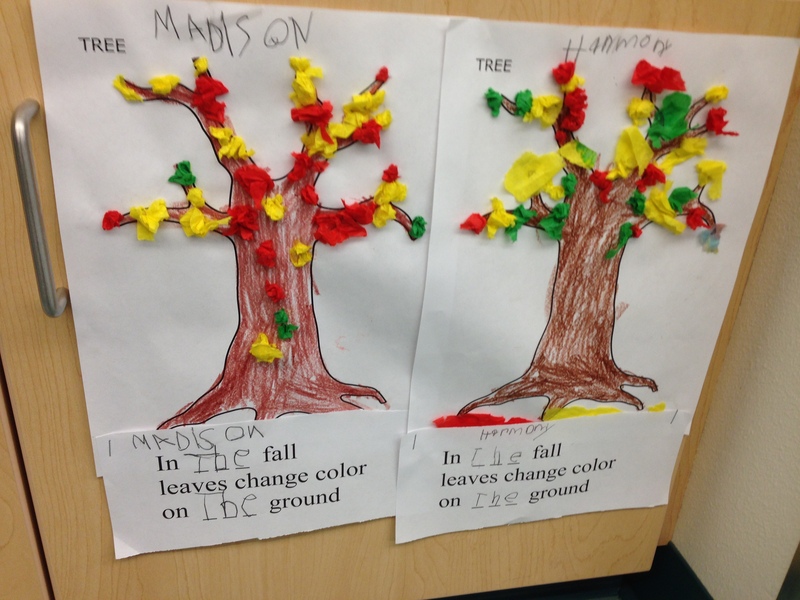 On the SMART board I showed students pictures of leaves changing colors on trees in other places and then falling of the trees. 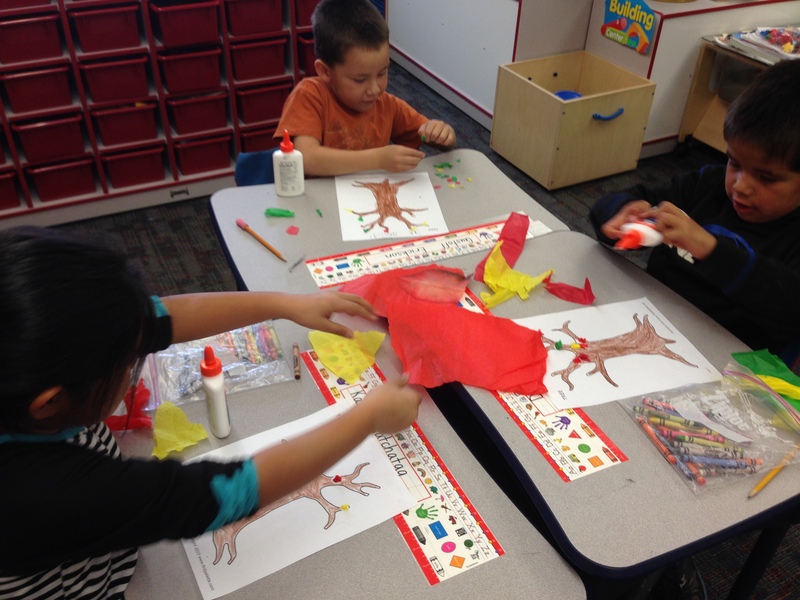 We discussed how in Shaktoolik, Alaska leaves change color but in other places leaves change color and fall off the trees. 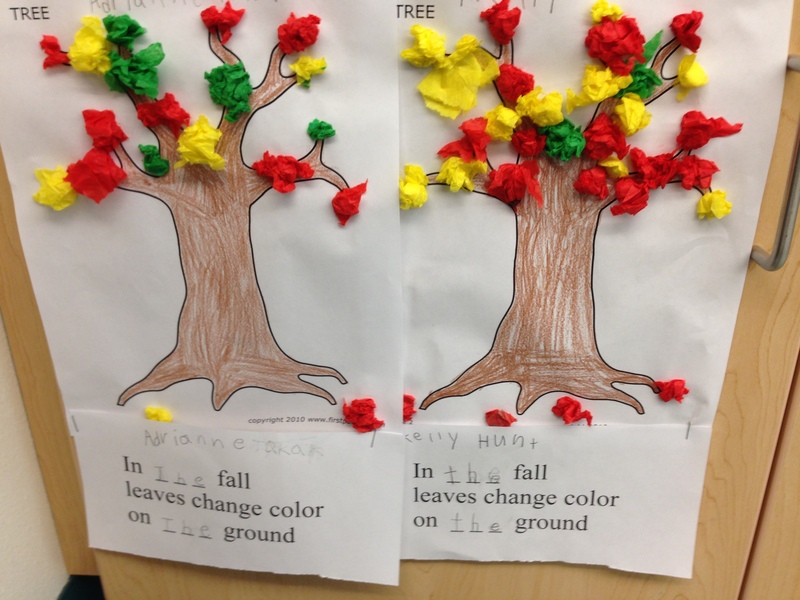 We read a Poem “Down, Down, Down; Red, Yellow, and Brown; The leaves are changing colors all over town”. 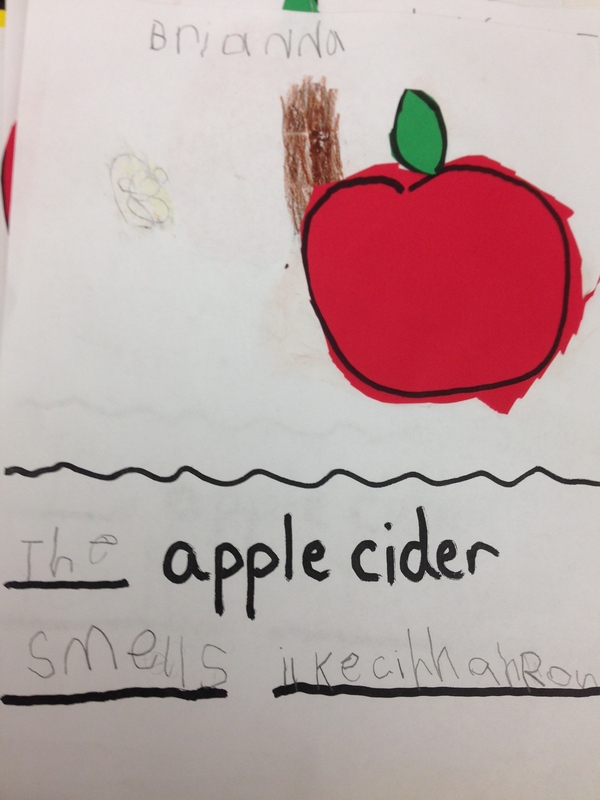 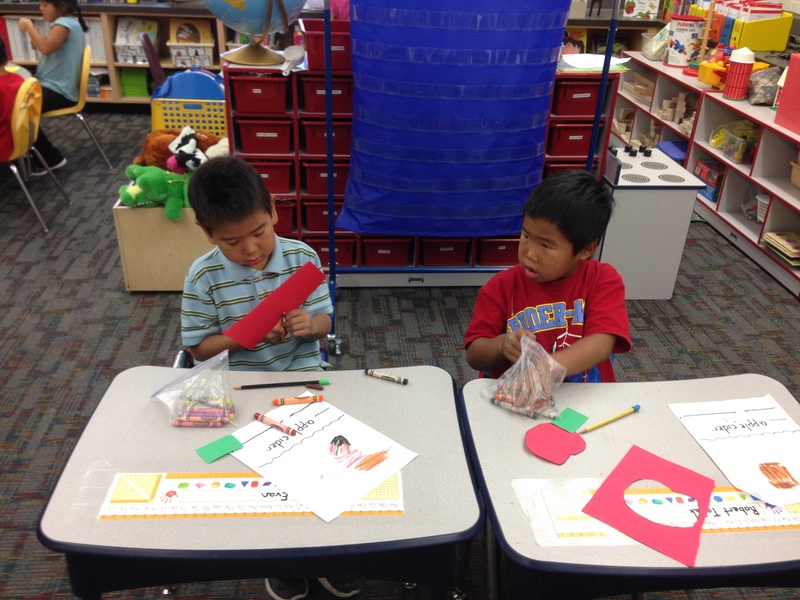 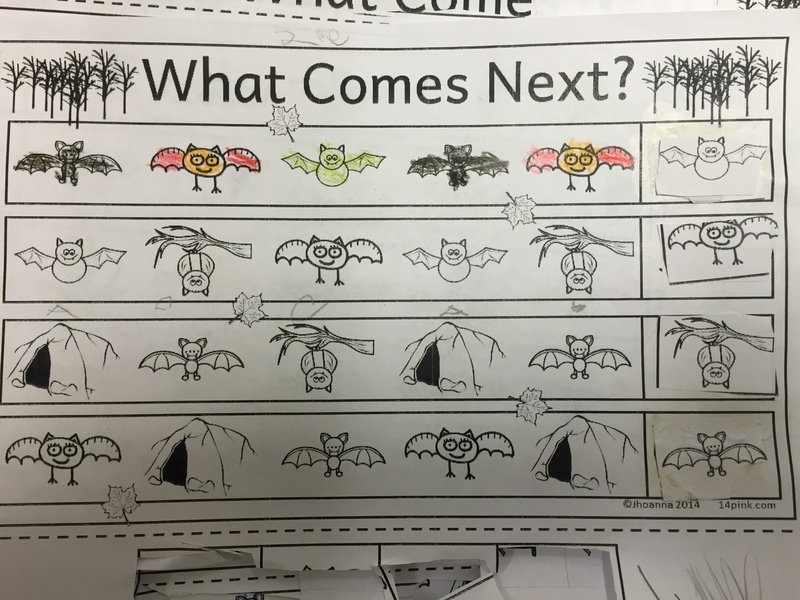 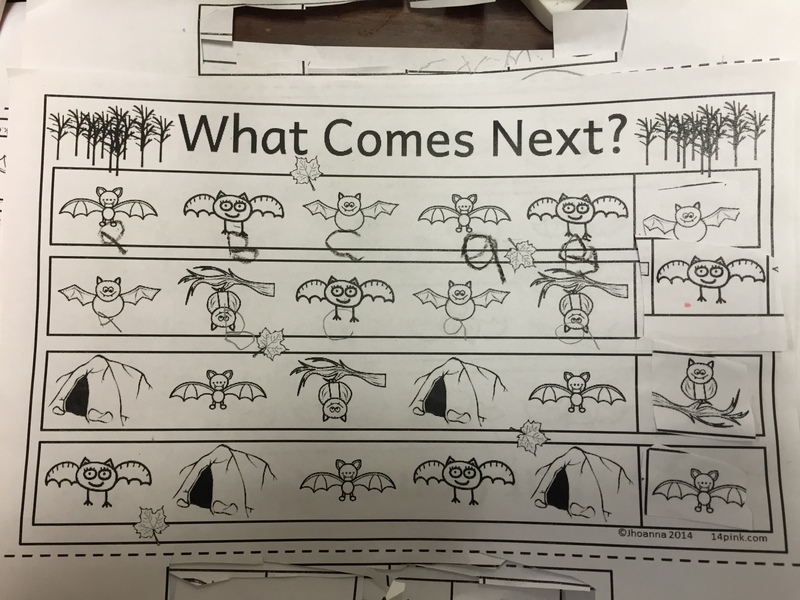 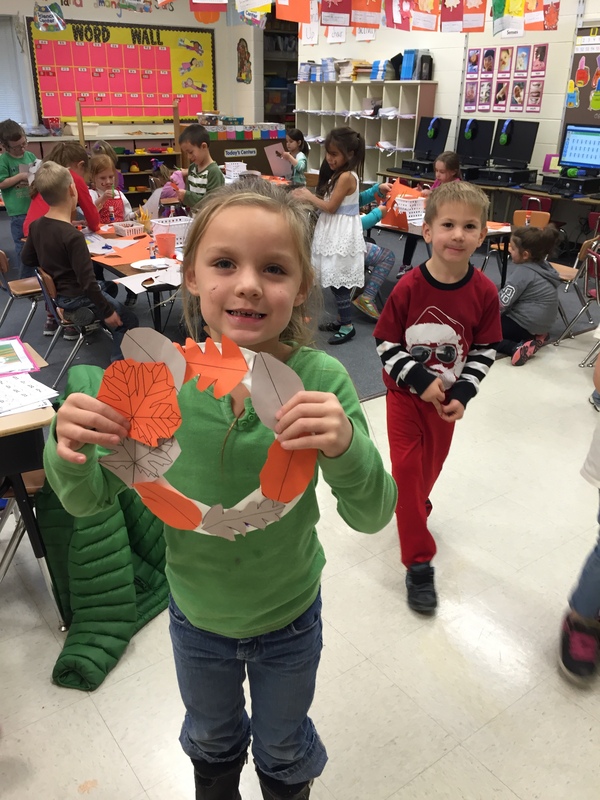 Kindergartners practiced reviewing rhyming words and the sight word the, while 1st graders reviewed the sight words and, the, and adding –ing to the ending of the words. 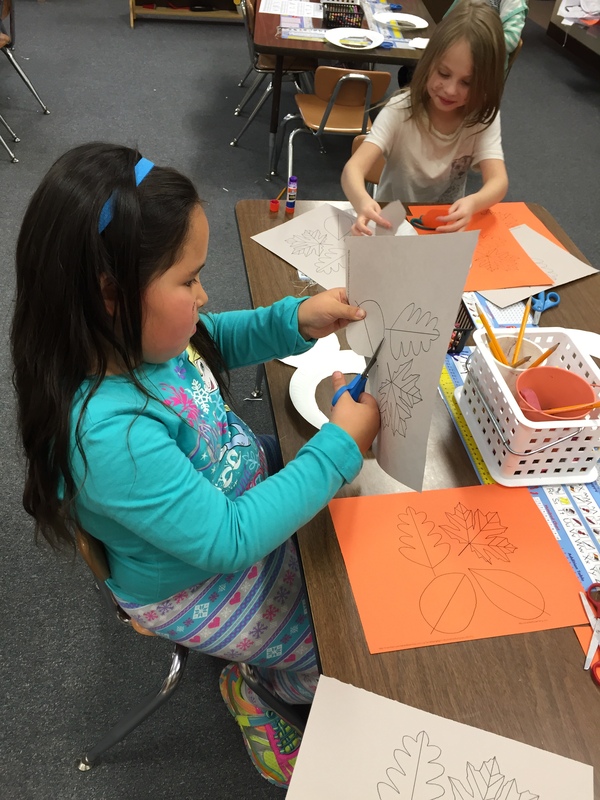 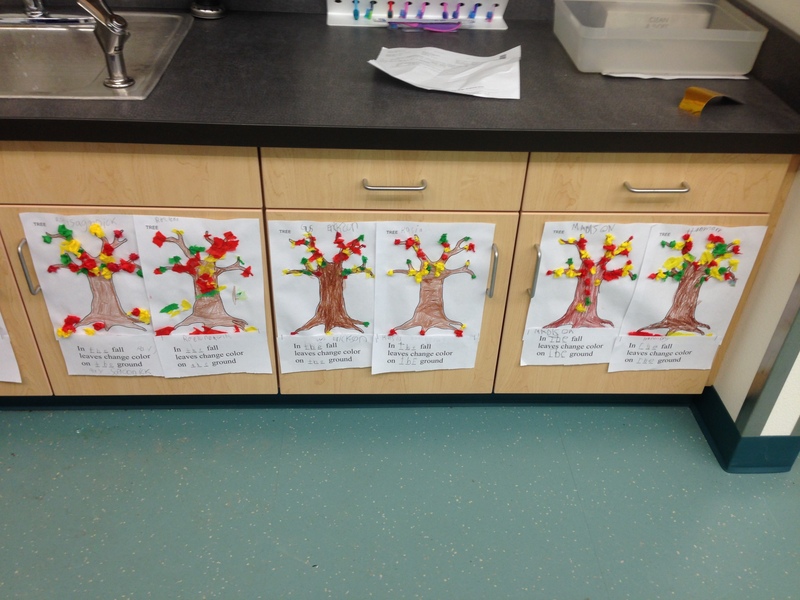 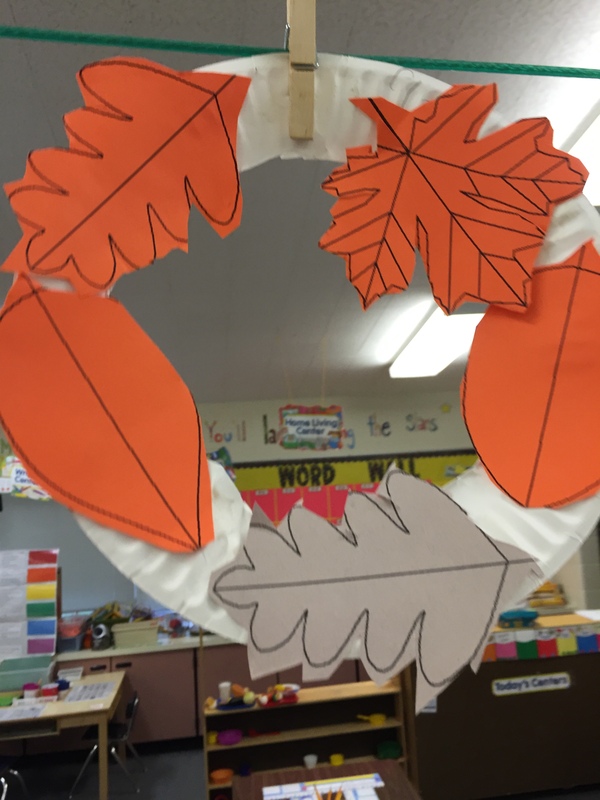 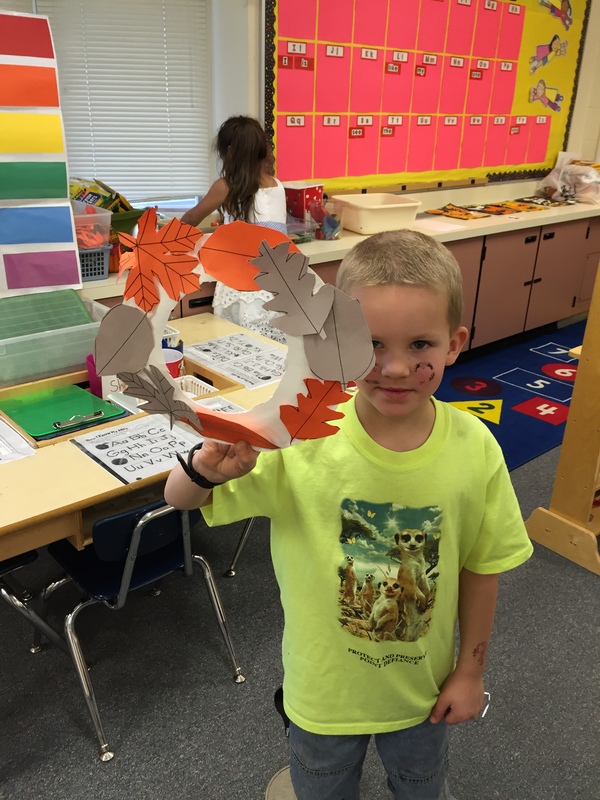 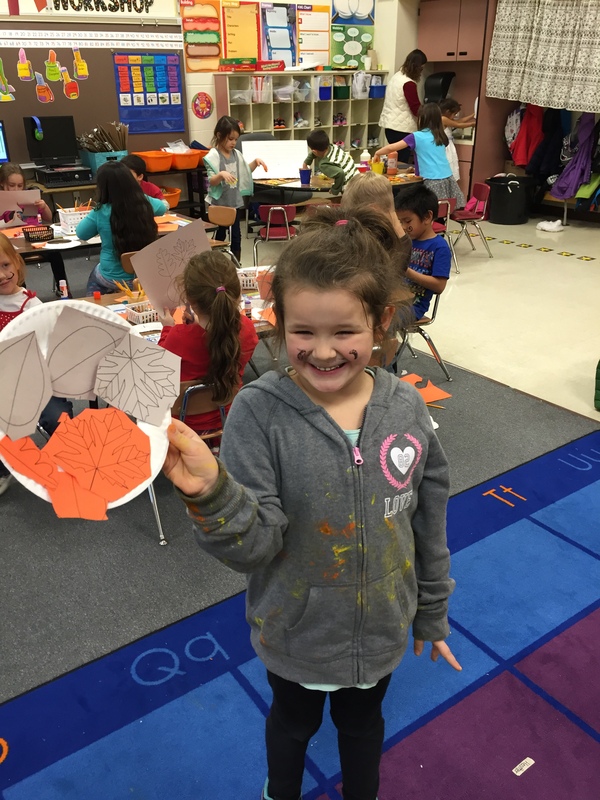 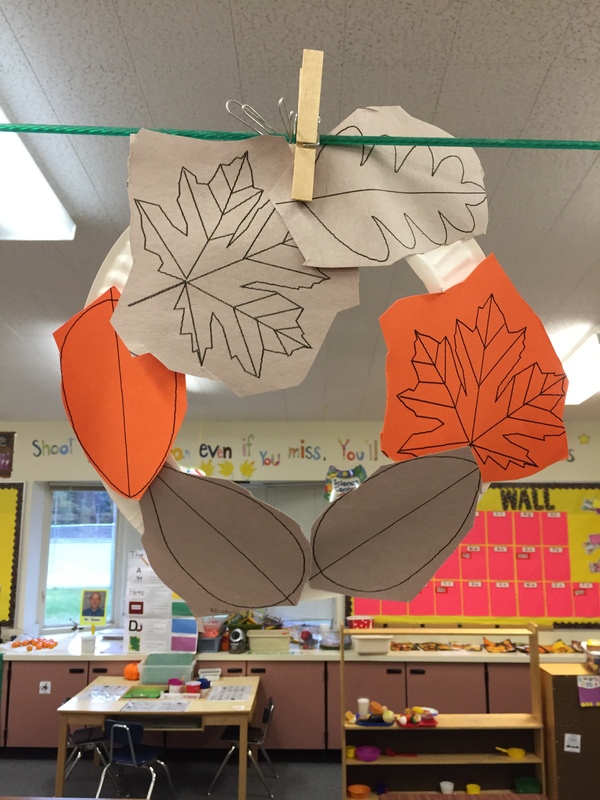 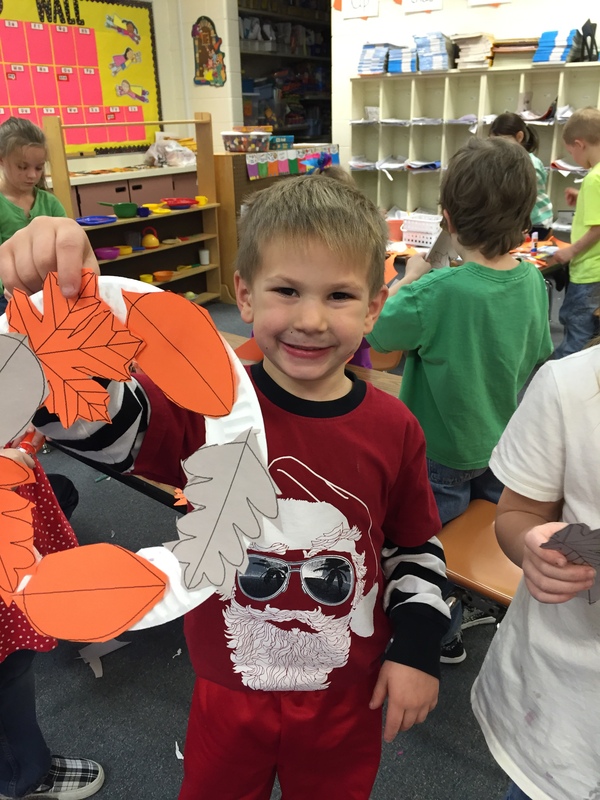 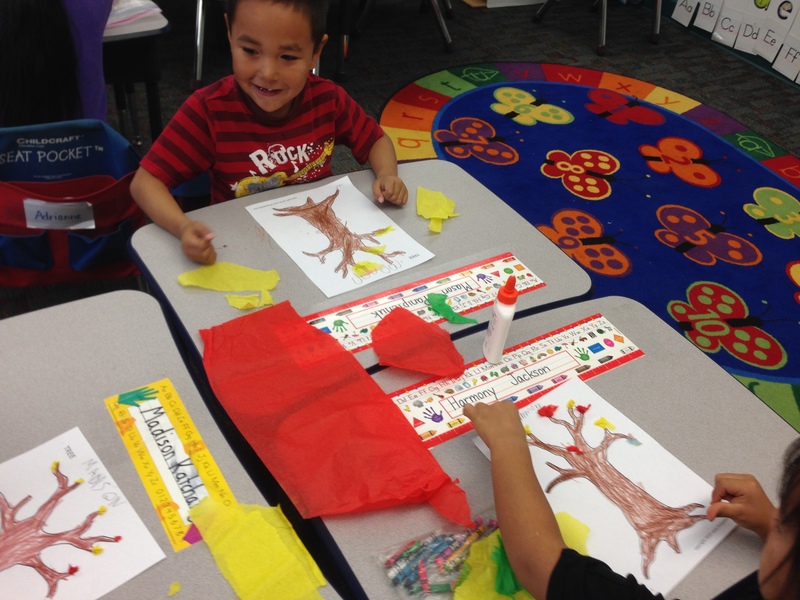 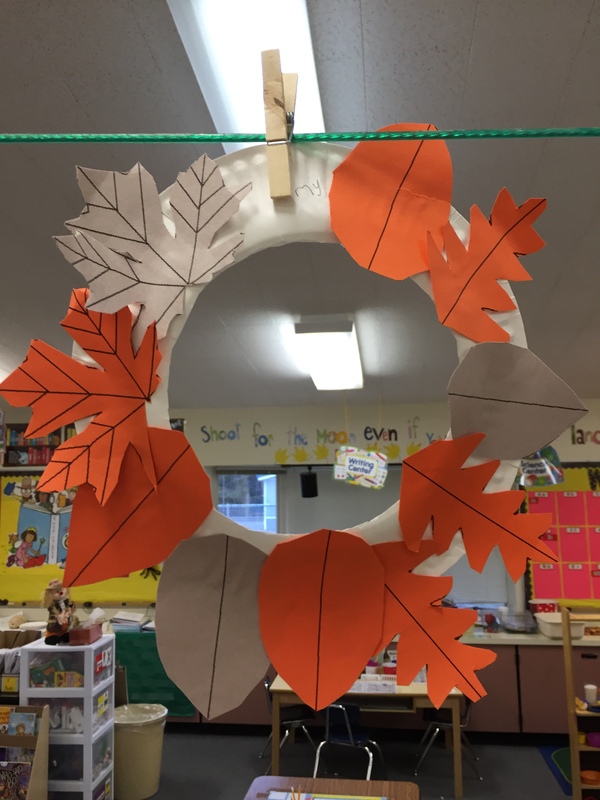 We made fall trees to share what we’ve learned about leaves falling down in other places in the world and completed our writing about how leaves change color on the ground in Shaktoolik!